The tip of Wing Point on Bainbridge with the Seattle skyline in the not-too-far-off background. Last week our little island was written up in the New York Times. The article has some great images of the island and quotes from local islanders. It is nice to get so much attention. We were in Coastal Living at the end of last year and have been featured in Sunset, as well. I guess we are quite the vacation spot. The thing I found interesting was how the NY Times article made it sound like there are just a bunch of vacationers here. Funny, because we chose the island for all the reasons it makes sense to live here full time – and raise a family. The great schools, the low crime rate, the proximity to the city. The article does mention this, but the slant is heavy on our isle being the place to get away. Now, we do like the same charm the tourists like too – the coffee shops, art galleries, and comfy bookstore down in Winslow. The charm is fun and quaint. The bonus with Bainbridge is that you also have a community of folks that make living here and raising a family viable. You can’t do that in every little charming spot. My husband and I spent a lot of time in Mendocino before we had kids and would have loved to live there. But, there were two problems, no jobs nearby, and not a big population with kids in school, i.e., not a great place to work and raise kids. For us, Bainbridge is the right mix of rural and urban. So, maybe the article has a point, living here is just like being on vacation full time? These last few months I have been paying closer attention to the weather than I usually do. In December we went to Hawaii and I was really hoping for sun and heat, basically a break from our winter cold and rain. Unfortunately, we caught the end of Tropical Storm Dolphin. The first two days of our trip were a little hairy. Tremendous amounts of rain and wind. I scanned the internet hourly, hoping the storm would pass before our vacation did. Luckily, it did and we had five fun days of sun and heat. When we returned home to Bainbridge Island, snow was falling. 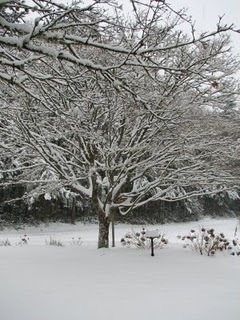 We arrived at the beginning of a very unusual system that ended up dumping about two feet of snow at our house. We were snowed in, school was called off and we had some fun afternoons sledding at Ordway Elementary and the high school. But, after the novelty of the snow wore off and Christmas shopping still needed to be done, I was back on the internet, wondering when this white stuff that was slowing down my life was going to go away. What I relied on the most for an accurate weather prediction for this area was the Cliff Mass Weather Blog. Cliff is a Professor of Atmospheric Sciences at the University of Washington, has written a book about weather in our area and his wonderful The Weather of the Pacific Northwest, and can be found at places like REI talking about, you guessed it, weather. 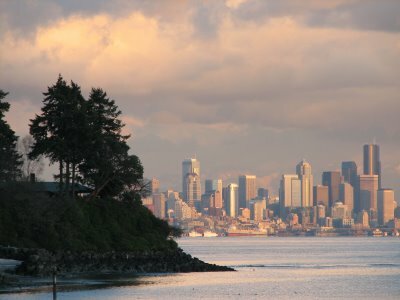 The Pacific Northwest is made up of several different micro-climates, so weather predictions for the city of Seattle don’t necessarily match what is going on on Bainbridge Island or further west into Kitsap County. Cliff is great at focusing in on all the areas in our region and I have found his predictions to be right on. If you are as curious about the weather as I am, check it out his blog. Below are some of my favorite homes that sold this year. I had the pleasure of touring all of them (some many more than once,) and they are all homes that stuck in my memory for one reason or another. If you have questions about any of these homes, just shoot me an e-mail. 10. This home on Bergman Rd off of Miller Rd. is the result of a quality remodel by the homeowners. With cool materials like bamboo floors with radiant heat and exposed beams, this bungalow built in the 1940’s got a modern makeover. The owners chose wisely with finishes that appeal to many buyers, resulting in a fast sale. 9. This home is the vacation beach home I dream about having when I retire. 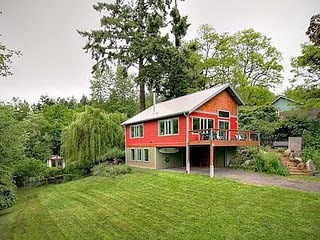 Having gotten a crisp update from island designer/stager Kim McCall before going on the market, this home on Arrow Point Lp., makes you wonder how you’d get anything done if you lived there. With crisp white walls and loads of warm wood finishes, this home is more than amazing. Not to mention the massive deck. 8. This is my favorite neighborhood home that sold in ’08. On North Town Lp. in classic North Town Woods, this home has it all for those wanting to live in a close-knit neighborhood. Backing to the shared open space, with a high end kitchen, & walking distance to schools, this home, built by Jerry Reese, is Craftsman perfection. 7. 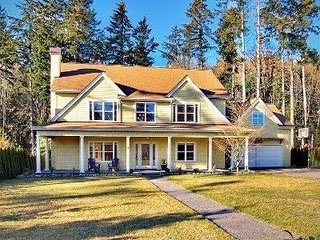 This home on Packard in Eagle Harbor is my top choice for the home with the most potential. 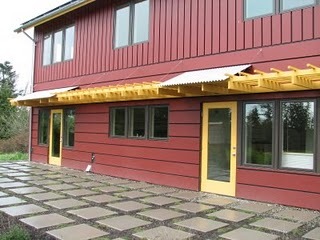 My husband and I looked at this home for a re-hab project, but went with a larger home. 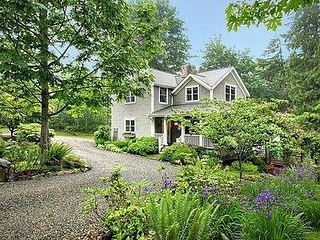 However, I often think of this home because of the almost acre it sits on with a nice harbor view. more like this in the years to come. Fairmont Ln., off Koura Rd. spoke to me! I loved the cozy warmth and clever details in this home. The layout of the home makes good use of the 2126 square feet. 4. This home on Eakin Dr. in Winslow illustrates the curb-appeal of timeless architecture. You’ve got to love that porch. In a small neighborhood, with neighborhood beach access and within walking distance to downtown, this home is charming and convenient for the island commuter. 3. Built by Rick Da Barros in 2007, this home on Valley in the Rolling Bay neighborhood is loaded with fine details and functional spaces. Rick builds exceptional homes suitable for a Pottery Barn Catalog – and I always love his thoughtful floor plans. 2. 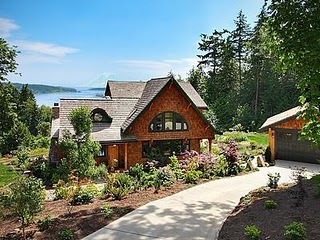 This home on the south end of the island on Island Ave. is beautiful and has stellar views of Mt. Rainier and Rich Passage. This is a stylish family home with views from almost every room & this home was a pre-fab home, assembled in pieces on site. 1. To me, this is perfection. On Rockaway Beach, this remodeled home, with a stunning Seattle view does not skip a beat in any corner. 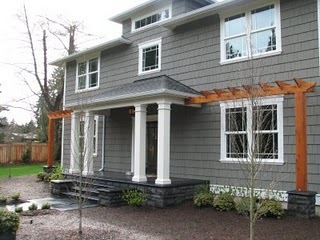 The home has high-end finishes, but does not cross the line to fancy or stuffy. A comfortable home in a most inspired setting. All photos except #3 & #6 are courtesy of NWSLS. The picture above shows two agents from my office having a little too much fun on our office’s weekly home tour. 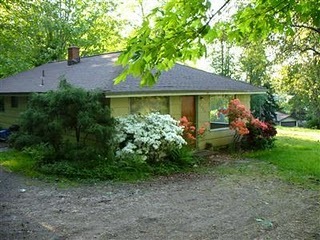 This little “shed” is on the property of a home currently on the market (in case you’re interested). In any case, I thought this picture said a lot about how hard real estate agents worked in 2008 to sell a house. 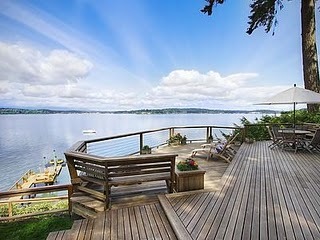 I don’t think I am the only agent on the island who is looking forward to a better 2009 for real estate sales. Below are the stats for 2008. In 2008 188 homes were sold on the island. The lowest priced home was a manufactured home on about half an acre that sold for $169 thousand dollars in November. On the other extreme the highest priced home was a seven acre waterfront estate in the Manzanita area that sold for $6.2 million dollars back in February. The average sale price in 2008 was $750 thousand dollars. 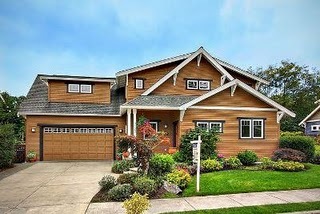 To do a quick comparison, 332 homes sold in 2007 and the average sale price was $821 thousand.